Navio At The Creek is a new pre sale condo development in False Creek. Navio is the second phase from Concert developers, the first development being Voda. Navio At the Creek offers a spectacular waterfront presence and a 3 acre park. Part of an ever expanding new community the Navio is just part of a new 5 building development that will create 740 new condo units in total, with 177 units in the Navio building. You can view the full re development plan here. Navio claims an enviable location on the Seawall in one of Vancouver’s most desirable neighbourhoods. Quietly removed from the city centre, it’s still connected to the best the city has to offer. Cycle to Granville Island for farm fresh produce or take a quick stroll to Gastown for an evening out. Navio at the Creek in False Creek is a new development in False Creek. Fully-equipped fitness room with cardio machine and weights. Indoor and outdoor space for stretching. Two private rooftop resident lounges with entertainment rooms. secured underground parkade complete with electric vehicle parking and on-site car-sharing. Double-height lobby with concierge and adjoining lounge. Concert properties has a strong reputation in the Vancouver area. 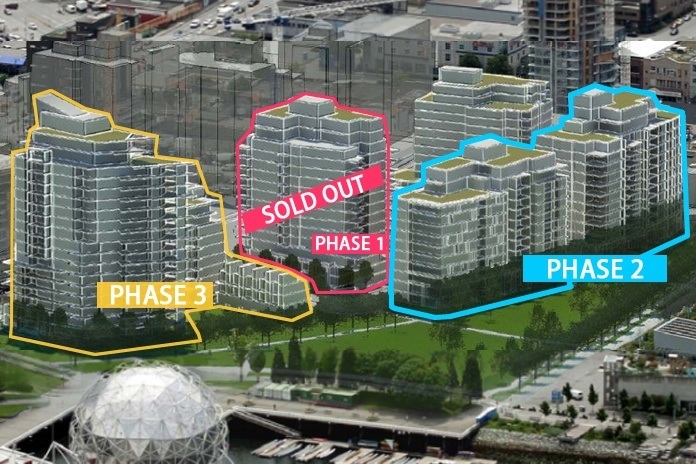 They are responsible for several other developments in the Vancouver area, including, 365 Waterfront, Patina, Salt. Sales start July 5, 2016. For full details on pricing check out Navio at the Creek Prices.